Welcome! This is Jean Caragher, President of Capstone Marketing. I am extremely happy to be talking today with Donna Erbs, Marketing Director of Anders Minkler & Diehl, who was recently named Marketer of the Year at the 2012 Association for Accounting Marketing Conference. This award is sponsored by CPA Practice Management Forum, published by CCH, a Wolters Kluwer business. Donna joined AMD in March 2004. At the firm, she works with partners and staff to ensure the marketing strategy is working in tandem with the firm strategy by utilizing both traditional and trendsetting marketing tools. Donna devotes a great deal of time to creating a marketing and business development culture for the firm. A great believer in relationship marketing, she has created a business development forum to provide opportunities for accountants to develop as savvy business consultants. She promotes the use of social media throughout AMD’s marketing plan, develops brand awareness for AMD and its niches through online and hardcopy messages and materials. Her work also includes brand, new business and proposal enhancement. Donna is also very active in the community. She is a board member and mentor at the Professional Women’s Alliance, and a member of the Steering Committee of the Institute for Private Business at St. Louis University. She is a board member for Nurses for Newborns and is a founding member of the AMD Women’s Initiative Steering Committee. Donna is also an award winner. Besides being named the 2012 Marketer of the Year, she has won seven AAM-MAA awards from the Association for Accounting Marketing, two communication awards from the International Association of Business Communicators, and four Edge Awards for Innovation from the Leading Edge Alliance. Donna, welcome and congratulations on being named Marketer of the Year. How does it feel? Donna Erbs: Thank you so much. You know, it’s still a humbling experience. I will tell you that I’m so honored and mostly humbled. I think I said the night of the gala that I’ve been sitting there for eight years watching these really amazing people get this award and thinking, wow, that just has to be the culmination of their career. So to be counted among those people is truly, truly amazing. Jean Caragher: Well, it was very well deserved. I was very happy when I heard your name. Donna Erbs: Thank you, me too. Jean Caragher: Donna, you’ve been in this business a while now. What do you think is the greatest challenge in marketing CPA firms? Donna Erbs: I have this discussion with so many of my colleagues in the Leading Edge Alliance and CPA Associates. I work in St. Louis, Missouri, for a 108-person accounting firm and at $17.7 million we are only the 10th largest firm in St. Louis. I have the Big Four and all the regionals here, so it’s very competitive. So for me, and for people in similar situations, I think it’s differentiation. It is very difficult to showcase how different you are until you’re really in there and that’s why client retention is so important. We talk about this in proposals all the time because it’s really hard to show that differentiation piece when you’re not working. It’s hard to bring the consultative part in or the value-add, so I think differentiating yourself in the marketplace is the toughest part. Jean Caragher: It is the toughest part. Do you sense that there is a greater appreciation now for brand development and other ways firms can differentiate themselves? Donna Erbs: I absolutely think so. In fact, I’m undergoing a process right now where we’re looking at our brand and interviewing a lot of people; external and internal, clients, referral sources, and people that are friends of the firm to hear what they have to say about their experiences in working with AMD. If I had asked to do that eight years ago when I started, the people that I worked with would have thought that was not really a wise use of resources or something that they wanted to do. However, it was very well received this time around. Everyone that works with an accounting firm wants to know how to make their brands stand out, how to make themselves stand out, and how to make their team stand out. That’s just a challenge that we are battling every day. Jean Caragher: What are the biggest changes that you’ve noticed in the accounting marketing? You joined your firm in 2004, what’s changed over that period of time? 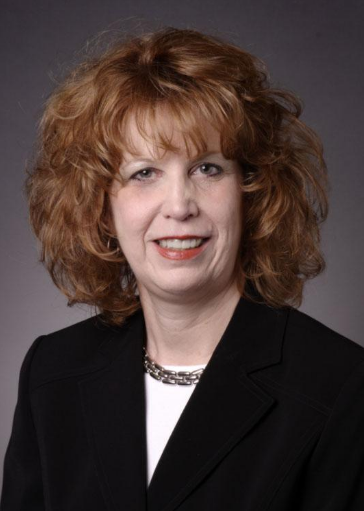 Donna Erbs: Of course, I’m much older than I was in 2004 and I actually used to represent an accounting firm in my days prior to coming to AMD. I worked for a PR firm and I represented a large regional accounting firm on the PR side. What I believe is that accounting marketers have been asked to the table more often. They’re holding higher-level positions. Marketing is taken much more seriously and I think it’s an integral part of a firm’s strategy. When I first came to my firm in 2004, and I’m very lucky to work for a firm that’s very forward thinking, that a lot of firms thought marketing was kind of this fluff part. That’s how they saw it, that’s how managing partners saw it, and who couldn’t do marketing, right? You just hire somebody and you put a logo on a business card and you’re off. Today, managing partners and partners are really seeing a value in what marketers can bring to the table, and what we know, how we look at things differently, and how we look at things very strategically. I think we’re more respected. We’ve earned more respect and we’re a more integral part of the plan. Jean Caragher: With that in mind, what’s your prediction for accounting marketing for the next five years? Donna Erbs: I’m so amazed at the young marketers that I work with here at AMD and in the associations, and at AAM. I’m just flabbergasted all the time of what they come up with, and I think that social media has rocked our world. I mean, it’s changed everything I believe, because now it’s such a medium of delivery, and things are out there. When I was thinking about how I used to deliver the message, with these newsletters, and they were printed, and you had to get the copy months in advance; and two weeks ago today, when the healthcare reforms law was upheld, we were out by noon that day telling our clients “here are five things that you need to know for 2013 and here’s our 10-second take on what had just happened”; that would have taken us weeks to get out in 2004. Ten years ago, even if there was such a thing as social media, accounting marketers would have been hesitant to use it and I think we’re now looking at so many options that are available in product marketing and other strategies and bringing them to the accounting marketing table. That’s going to continue to grow. These young people that have joined our associations; that are coming into our firms, I just think they’re brilliant, they’re exciting, and I think they look at things differently. I love working with Millennials and I think they’re just going to take us to places that we only dreamed of going. Jean Caragher: I think you’re right. What you just said has brought back memories from when I was an internal marketer and the amount of time it took to do things and now …we’re working at the speed of sound. Donna Erbs: Right. But that has changed for marketers too, because you remember 10 years ago, if we would have written something on healthcare reform, we would have had to have it approved by ten different people. And today, we’re like, “Okay, here’s our draft, what do you think…boom…you’re out of the door.” So it’s changed for everybody, not just for marketers. Jean Caragher: What factors or skills do you feel that you have that has made you successful and what skills overall do you think marketers need in order for them to be successful in their firms? Donna Erbs: Marketers have to be strategic and they have to have a little bit of an analytical persona in them. I know that sounds so strange, but because we’re working with “numbers people” you have got to learn how to present it in ways that make sense to them. If you are not strategic in your thinking or if you’re not a little bit analytical, it’s very hard to be believable in the accounting marketing realm in my experience. In marketing, we are such “big picture people”… and that is certainly my strength. I always tell people I’m so much better at 50,000 feet than down in the trenches and sometimes the details are not necessarily my best strength. But I believe that if we can be strategic in our presentation, strategic in our delivery, strategic in what we want to accomplish, and then we can show the results, show the return on investment that marketing has made in a concise, analytical way that makes sense to the accountant; that really puts us light years ahead. Jean Caragher: Do you have any thoughts or resources that you think are particularly helpful to marketers to help them be more strategic? Donna Erbs: I always tell this story. When I came in 2004, it was in the middle of tax season and they basically put me in this office and they said, “Tell us what you think. We will talk to you on April 16th.” So by that time, I had been in marketing for 20 years, so I really thought that they wanted to know what I thought. I went through all of their stuff and I came out with pages and pages of things that we needed to change, and being a confident marketer, I presented this in this lovely PowerPoint and they were shocked because they really wanted me to tell them what they were doing was wonderful. Jean Caragher: They really didn’t want your opinion. They wanted affirmation. Donna Erbs: They really didn’t want to know. But I kept my job and so I really had to think then about how I delivered that message, because they weren’t really ready for that message. If we can analyze what is really important to us, and my good friend Vickie Hicks, who works for KPM in Springfield, will laugh when she hears this, but I have this saying that I always tell people, “I’m not dying on that hill”, and it’s kind of like…“pick your battle.” So when I say strategically, “what are the things that you believe that you cannot do without in your marketing plan?” My partners laugh at me because they know that I will, if I’m really passionate about something and that’s not where they are at this point, they know it’s going to come up again, at my six-month review or the next time we get together or whatever, they know it’s going to come back up again and they laugh. They go “this is not going away,” and I go “no, it’s not something that I’m willing to give up.” But sometimes you do have to just say, “Okay, I’m going to back off of this or I’m going to really be a great listener of what it is that they want” and then I have to deliver it in a way of what I believe is best for the firm. You can’t just regurgitate it back out to them. It’s really looking at the big picture and then dicing it down, and I always tell people to compartmentalize, to make it into components because otherwise it’s so overwhelming. If it’s overwhelming to us, it’s overwhelming to the partners. I really believe that trying to compartmentalize, trying to dig down, make the messages small; that’s how I believe in being strategic, and then being able to show it on the other end. If you have a system where you can say, “This is what we did, this is what we spent, this was the outcome,” and you can do it in a lovely spreadsheet format that they get, that’s what I would do, because you’re way better if you can give it to them in a spreadsheet than you are if you can give it when you start this narrative with them. Jean Caragher: What other personal skills do you feel contributes to a marketer’s success in a firm? Donna Erbs: Have you ever taken StrengthsFinder? It’s a Gallup assessment of where your talents are. I’ve done it twice, and I really thought about that when you asked this question. Two of my strengths are 1) that I’m a maximizer and 2) that I’m an activator. That means that I maximize opportunities. I really thought about that as a marketer, and I think that you have to be able to take even the smallest things and make the most out of it. Whether that is a piece, whether that’s a blog, whether that is an opportunity to bring new business in the door, whatever that is, you have to maximize it to the very best of your ability and then you have to activate other people. For instance, we have this business development forum here, a big proponent of bringing young people in, right from day one that they’re here, and bring them into this whole business development in marketing culture. You have to activate other people to understand the marketing. It can’t be just the marketing department or even just the partners. You have to bring other people in and you have to give them some responsibility. You have to give them some opportunities to help you, because pretty soon then you have a whole team of people that are marketers and not just the marketing staff. Maximize what you have and then activate other people for your cause. Jean Caragher: That leads into my next question. What advice do you have for accounting marketers, anything in addition to that? Donna Erbs: Well, I’m going back to my “I’m not dying on that hill” sort of thing. You have to really decide what is important to you and what you believe best fits into the firm’s plan. There are some things that you’re just not going to get. So you have to decide on those sorts of things. You have to be persistent, consistent, and concise. I tell the story that when I started here, I didn’t report to the managing partner, I reported to a group and that was very tough. Later on, I reported to a single partner who was not the managing partner and when I got my review, he said that I was disorganized. And of all things, my desk was disorganized, but I considered myself to be a very organized person. What it really came down to is that I would come in on Monday mornings at 7:30am, when we met with an agenda, and I would give him a copy, but he hadn’t seen it ahead of time. So I started sending him the agenda on Fridays and I went from being a very disorganized person to a very organized person in his world. Marketers have to adapt to who they’re working with and to understand what’s important to them because that was such a simple twist and it changed the entire perception about me, it changed the perception about my ability and I think that we have to be able to change. We have to be able to figure out who we’re working with, because it certainly is not a one-size fits all. If I’m going to work with one of the audit partners here who is very into marketing and one of the healthcare partners here also is very into marketing, their reception of ideas is going to be totally different than one of my partners who is working more in estate planning who is much more conservative in his thoughts about marketing. So I think you have to really adapt. Jean Caragher: Those are magic words aren’t they? Donna Erbs: Those are magic words. He puts them in emails and he tells people because sometimes other partners or other people like to make end runs around the marketing department and he says, “I defer to Donna.” That’s just so amazing and when he says that, people pretty much do that. But how do you get to that point? I think that you have to earn that respect and you have to earn that trust of those people. It’s on us to get to the “I defer to Donna” part. We have to build that like and we have to build the trust and we have to earn the respect. That’s harder to do for marketers than a CPA coming in, because they understand them, they went to school, they got a degree in accounting or finance or whatever, and it’s very measureable and they understand. If you do a tax return correctly or an audit correctly or whatever, they get that part. Marketing is such a soft skill. I think it’s a hard skill for accountants and so it’s this unknown sort of thing and they don’t really understand it even though they think they do and it’s gotten so much bigger. I think that we have to do everything that we can to earn their trust and earn their respect, and then the managing partners get to that point. For the managing partners that aren’t at that point, I think that they have to sit back and they really have to take a look at why don’t they trust their marketing personnel, why don’t they respect them, and is it that they don’t or that they won’t or that they can’t. There are many factors going on there. We talk about highest and best use all of the time. “Best practices” is such a new word or trend in our industry today, and I think that managing partners have to put people in positions, whether that’s technology, HR, whatever; they have to put people in positions that they like and they trust and they respect, because it’s so much better for the firm and for the marketers we have to work, to earn all of those things. Jean Caragher: What do you think is the best way for a marketer to command that respect of a managing partner? Donna Erbs: I think that we have to ask great questions. We have to be great listeners and our own best promoters. I think that marketers, if you put us all in a grid, we are all of these similar personalities. But I’ve concluded is that people don’t know what you don’t tell them. We are so great at marketing our firms, we are so great at telling prospects what it is about our firms that would make them want to work with us, but we’re not that good at doing it for ourselves. We are good at doing it for our teams, but I don’t know that we’re good at doing it for ourselves and it’s kind of counter cultural to who we are. But you have to tell them what you’ve done for them lately. You have to do it and show them the results. My father used to say, “The squeaky wheel gets the grease”, and I think it’s exactly like that; that you have to share with them what you’ve done and why it’s important. Jean Caragher: We both know many marketers and, I’m sure it’s still true today that, marketers are always busy and there are many partners or people within a firm that see that they’re busy, but they’re not clear on what they’re so busy about. That gets back to your point of communicating what it is that you’re doing, how you’ve set those priorities, and what you’re contributing so that there isn’t a guessing game as to what the marketer is doing. Donna Erbs: Right. Because I do believe it’s a guessing game. This is just not something that is in their comfort zone for most of them, I mean for the rainmakers it is. But for the greatest percentage of accountants, they went to school to be accountants, not to be marketers. And I agree, we run around here like crazy people and so they think, “What is she doing?” I do think you have to show them and tell them and you have to be visible. There are so many marketers who spend their lives in their offices and I spend a lot of my time outside of my office asking questions and listening. I come in during busy season most Saturdays, and that has been huge for me because it made me such a team player. Of course, on Fridays in the summer, I’m here too, but I’m not telling you that I work the crazy hours like the tax accountants and the auditors during busy season, but I think that one of the best things we can do for ourselves is to show that we’re part of a team. Coming in on Saturdays or staying late and having dinner with them has gone a long way to people liking me and trusting me because they feel like I’m in the trenches with them. Being visible is just huge. Jean Caragher: That’s an excellent point. Well, Donna, thank you so much for your time today. Congratulations again on being named the 2012 Marketer of the Year. We’ve been talking with Donna Erbs, Marketing Director at Anders Minkler & Diehl and the 2012 Marketer of the Year. Donna, thanks so much and congratulations again.